Our flight to Guadalajara from Phoenix on American Eagle operated by Mesa. The flight departed from the B-Terminal. We relaxed at the Admiral’s Club and the Club at PHX before the flight. We approached the boarding area about five minutes before the boarding time. We located a seat near the gate and waited for boarding the start. Once it started, we approached the podium and we were asked to show our passport as well as the boarding pass. The gate agent thanked us when we reached the front of the line. The scanner was not working at that time, so the gate agent looked for the seat number and crossed it off the list on the computer for each passenger. 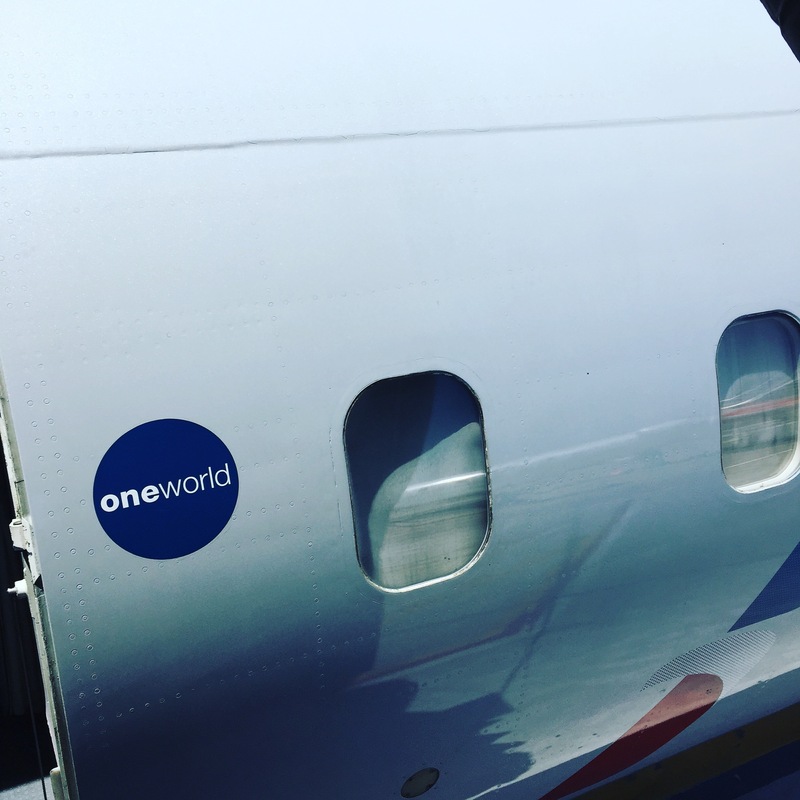 Once he got our seat numbers, the agent thanked us and invited us on board. A flight attendant near the door and she said hello when we entered the plane. The plane is a CR9 regional jet with three rows of first class in a 1-2 seating. Economy on the flight is in a 2-2 configuration. Most bags have to be gate tagged and stored in the baggage compartment on the plane. We located our seats and fortunately were able to store our backpack and bag overhead. 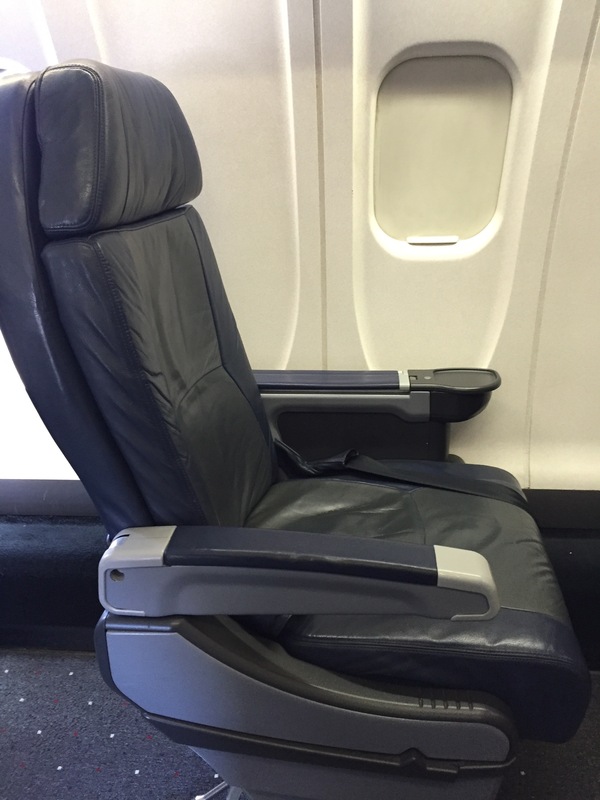 The seat was a standard regional first class seat that reclined. The windows were low on the plane similar to other regional jets. A few minutes after we boarded, the flight attendant greeted us and asked if she could get us a drink. We requested Bud Lite. 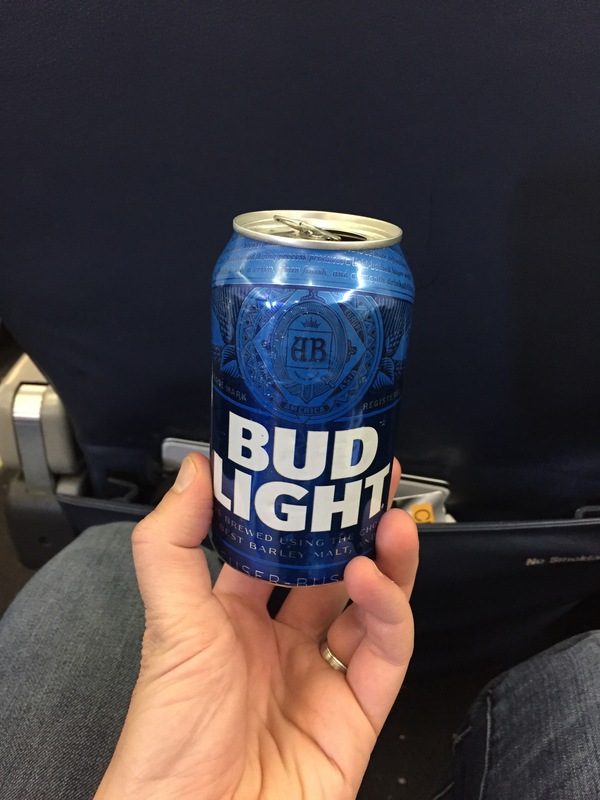 The flight attendant thanked us and she provided a can of beer. The beer was served chilled and it was fresh and had a good taste. 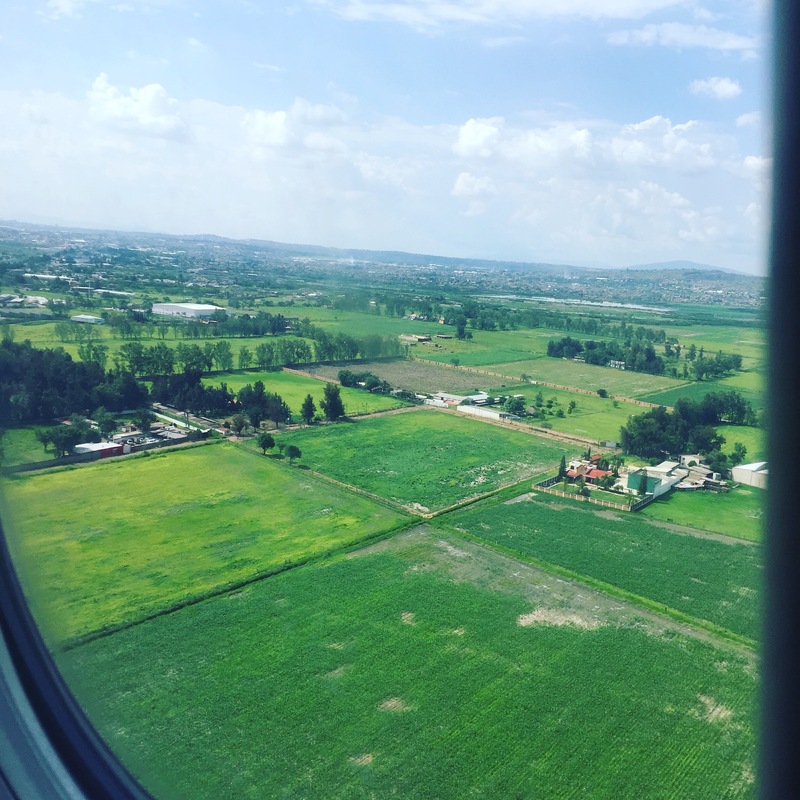 A few minutes later, the plane taxied to the runway and we were on our way to Mexico. About 20 minutes after take-off, the flight attendant approached our seat and offered a beverage. I requested a Coca-Cola. The flight attendant thanked me and she served it within a minute or two with a snack mix. The Coca-Cola was fresh and it had a good taste. I was surprised that it was served in a plastic cup; however, it turns out it is normal on Mesa as their aircraft only have limited storage space so they could not store the cart with glassware. It is not a big deal having the plastic cup, but it was just a surprise. A minute later, the fight attendant asked if we wanted lunch and she said that they had a salad with grilled chicken available. We accepted and the flight attendant thanked us and she served the lunch. The salad had clear plastic wrap over it and was not ready to eat. The salad was fresh and it consisted of a mixture of lettuce, cheese, eggs and tomatoes. The grilled chicken was served chilled over the salad. The chicken was fresh and it had a good taste. The salad was served with a creamy dressing. The dressing was fresh. 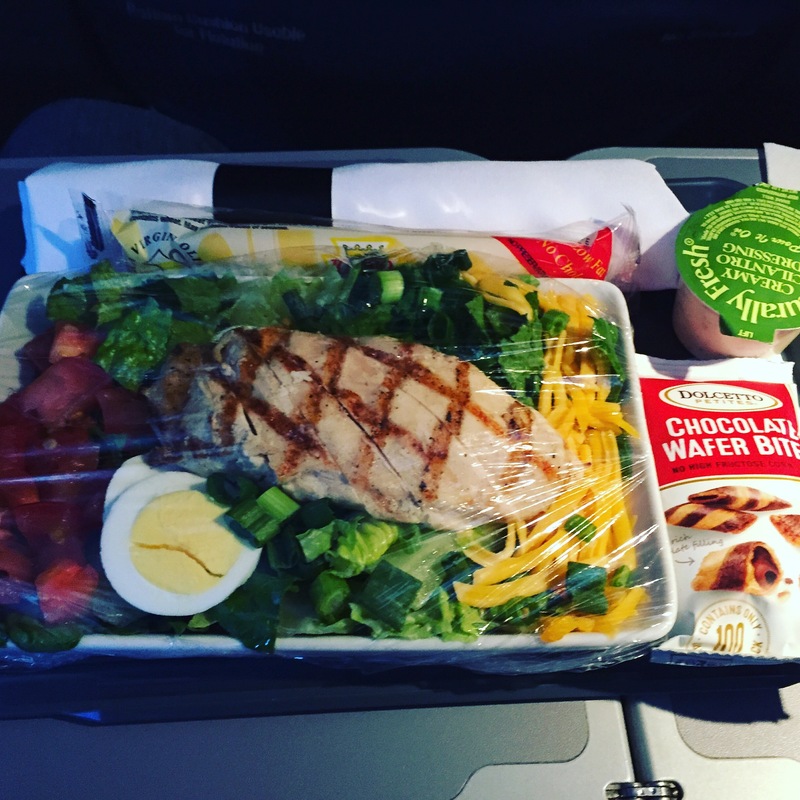 In addition to the salad, the meal was served with packaged bread sticks and a package of chocolate wafer bites. The bread sticks were crispy and they had a good taste. The chocolate wafer bites were fresh and they also had a good taste. 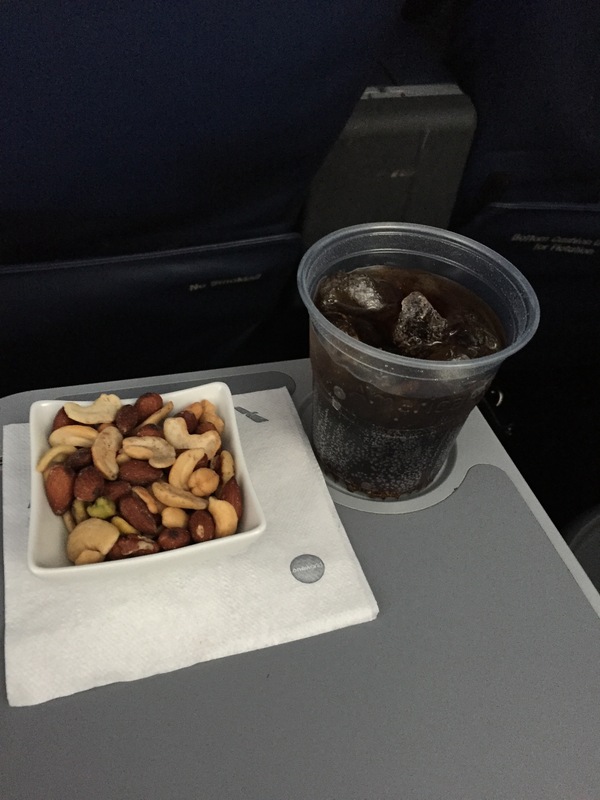 The flight attendant picked up the tray after we finished and she offered another drink. I declined at that time. The flight attendant assisted the other attendant in the economy cabin for the rest of the flight. When we saw her we asked for another drink later, and she reluctantly provided it. The flight was about two hours and it went by quickly. Towards the end of the flight, a flight attendant provided the customs and immigration forms for Mexico. 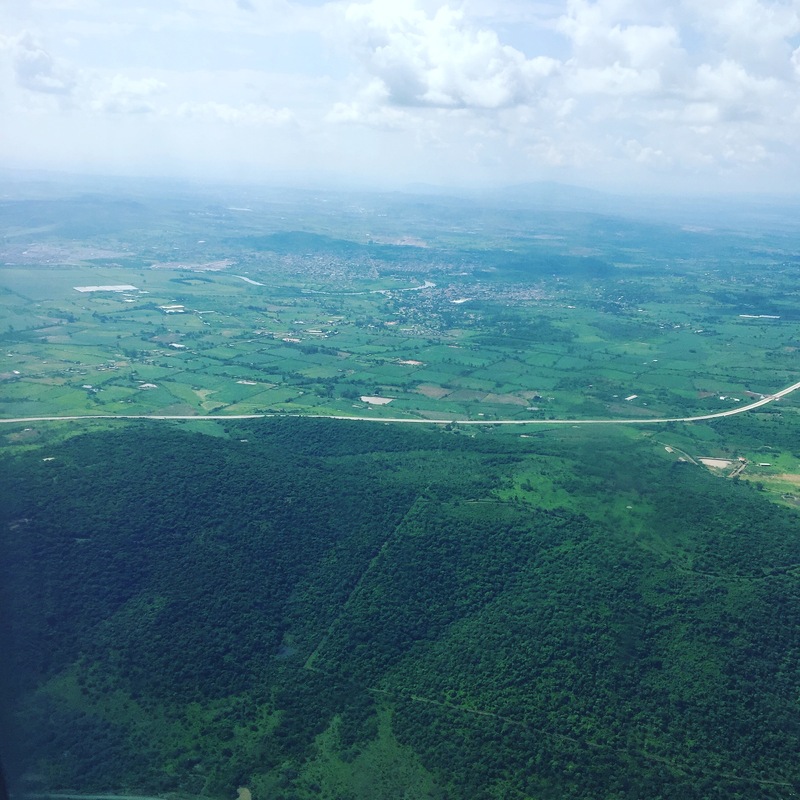 As we approached Guadalajara the landscape was interesting. We first saw some jungle, followed by some hills and mountains as well as farm land before seeing Guadalajara. I snapped a couple of pictures as we got closer to the ground. The flight landed on time and there was a short taxi to a gate. The Captain landed the plane very smoothly. A lot smoother than most other flights. As we exited the plane, the flight attendant thanked us and wished us a good day. We made our way to the immigration and customs area. Immigration was quick as there was no waiting when we arrived. We located our bags promptly and then proceeded to customs. In Mexico you have to push a button and if you get a green light you can walk out. If you get a red light they manually search your bags. We got the red light this time so we had to wait about five or 10 minutes while they were inspecting other passengers bags. Once they looked at our bags, we were able to exit into the airport. The flight was quick. It was nice that the flight attendant offered the pre-departure beverage; however, she was not as attentive for the rest of the flight. I felt she did a minimal level of service. Perhaps it was a bad day for her. The salad was excellent despite the fact that it was not served ready to eat. In addition, the Captain did an amazing job landing the aircraft without bumps.